The Nokia E66 appears to provide impressive improvements on the already high quality E65 phone. Rob Evans has been evaluating the E66 and has posted several excellent articles and videos describing its features. Rob’s articles and videos are highly recommended for anyone interested in the E66, or even just curious about how Nokia’s enterprise device line is evolving. It is surprising small. Watching this phone scoop video review, the phone is clearly quite petite — the reviewer’s hand seems huge in comparison. The E71 is clearly dramatically smaller when compared to earlier Nokia qwerty phones like the E61i. Another interesting feature is the camera’s autofocus speed, as demonstrated in phonescoop’s video. I’ve used the Nokia N95 extensively (fantastic multimedia device, btw), and the E71 appears to autofocus even more quickly than the N95. Note, however, that the N95 camera is 5MP, while the E71 camera is only 3MP — still, a Nokia 3MP camera still far exceeds the quality of most camera phones, especially those on qwerty phones. 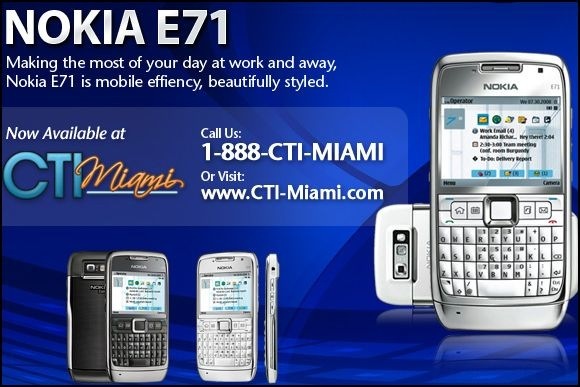 I’m still reading up on the E71, but it really tempting. I may have to get one. In the spirit of full disclosure, I admit I’m a huge Amazon fan – it’s my first stop for anything I want to buy online. So, when Amazon announced the Kindle, I was intrigued. After researching its feature set, I decided that even though Kindle is an interesting product, I didn’t want to pay $399 for it. This morning, I awoke to an email announcing that Kindle’s price has been reduced to $359. Even for a 4-star product, $359 is too much. The magic price point at which I’ll become a Kindle owner? $199. Of course, when Kindle 2.0 is released, I’ll be one of the first reading up on it. And if it’s priced at $199 or less, I’ll finally buy one. At the outset, some context: I’m an enterprise and home user of Microsoft Outlook. That means that I use it to keep track of nearly everything in my life, and have used it since I can’t even remember when. About a year ago, I stopped ignoring Outlook’s Journal feature, and got organized in a whole new way. Journal is an easy way to document detailed notes for meetings (either before or after), phone calls, and other events. If used in this way, it’s a great tool for archiving important details for later preparation of your half-yearly/yearly individual scorecards. You can also use it for time tracking (although I prefer tsheets for that). In addition, you can use Journal to track Microsoft Office items (like Word docs, Powerpoint presentations, Excel spreadsheets, etc.). Microsoft offers excellent resources for helping users get up to speed on Journal, here’s one for starters. If you’ve never tried Journal, its value add is definitely worth the brief learning curve. This arrived in my email inbox this morning… very enticing! I love the smaller E71 form factor. And, of course, it’s a Nokia. See Boy Genius Report for their excellent and very detailed review. I have purchased more bluetooth headsets in recent years than I’d like to admit, but never found one I really liked until recently. They were always too small, too large, too uncomfortable, poor voice/audio quality, etc., etc. 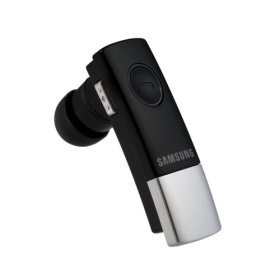 However, I stumbled across the Samsung WEP410 about a month ago, and have been very impressed. The hardware is small and simple. There’s a large on/off/redial button on the side, with volume buttons on the periphery. Something nice about this headset that isn’t available on a lot of bluetooth headsets: Mute. It doesn’t provide an over-the-ear hook but includes 3 sizes of ear gels so the user is sure to get a good fit. I find the fit snug, but very comfortable. I have found voice/audio quality to be very good, without dropouts, static or other degradation. I tend to use it in fairly quiet environments, so can’t speak to its performance in noisy places like airports or stores. It’s also quite inexpensive: $45.99 on Amazon.com, before a $30 rebate. For me, the WEP410 has been perfect: Great call quality, comfortable, easy to use. I found it when I thought I’d never find a bluetooth headset I’d like, and wound up buying a spare (1 for laptop bag, 1 for handbag). M. Night Shyamalan’s The Happening: Non-Event? Today, I saw M. Night Shyamalan’s The Happening. It was eerie, creepy in a way that only those films that don’t show you the enemy can be. Starring Mark Wahlberg, Zooey Deschanel, and John Leguizamo , the film starts out as an average day in New York City and that “average day” ends as anything but. Mark Wahlberg has carved out a successful career as a resilient everyman – the sort of guy who could be your next door neighbor — he plays this type of character in The Happening, as well. Zooey Deschanel’s character seems to evolve dramatically over the course of the movie. John Leguizamo, a personal favorite, has far too little screen time – he would have also made a great lead, playing Wahlberg’s role. Note that The Happening deserves an honorable mention for Ferris Bueller’s sidekick, Alan Ruck, as a New York City school principal. I enjoyed most of the film. It wasn’t predictable, and certainly was an interesting ride. My only disappointment was the ending: It seemed a bit too pat. I’ve been an M.Night fan for a long while, but am concerned that The Happening won’t be the comeback event we’d hoped for, especially since it doesn’t seem to appeal to most audiences. Nonetheless, you may want to read Richard Ebert’s review, and his view of The Happening as a parable of modern day apocalypse. Definitely recommended for M. Night Shyamalan fans.